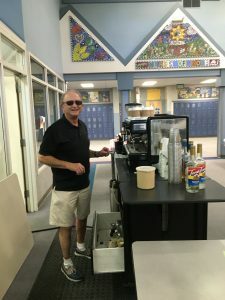 When my younger daughter, Julia, wrapped up 5th grade at Lakeridge Elementary last year to join her sister Grace at Islander Middle School, I thought that my time as a parent volunteer was drawing to a close. Over the summer I learned that my perceptions were incorrect. 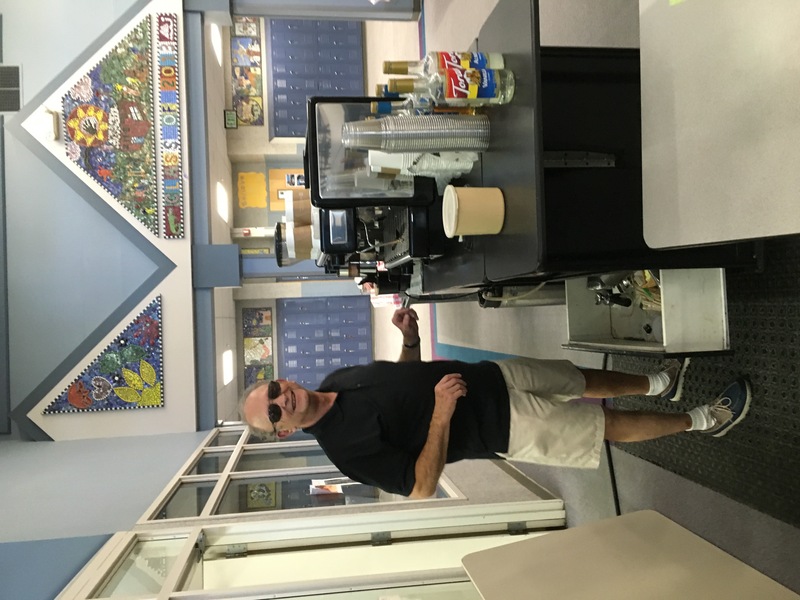 With children at two different schools, I had not zeroed into all the opportunities there are at Islander Middle School (IMS) to provide much needed assistance to the staff, teachers, and students at the middle school level. I joined the IMS PTA board, which gave me a whole new world view regarding the need for parent volunteers. We are truly needed! When our kids reach their early teens some of them don’t want us to be an active part of their daily school life, aka “I don’t want you to be seen by my friends at school!” That can make it a tough choice for parents who want to be involved. Plus, staff and teacher time have to fill the gaps made by the loss of parent volunteers. I learned through my new connection to IMS that there are *so many* tasks and jobs that make a HUGE difference at the school, but don’t involve much contact with your child and her friends. It’s a total win-WIN! I decided to join my friend Melanie Werdel and tackle monthly staff appreciation luncheons at the middle school. As co-VPs of Staff Appreciation, we coordinate finding chairs/co-chairs (fun to do with a friend!) and volunteers for each monthly luncheon, provide support for theme and menu ideas (Pinterest! 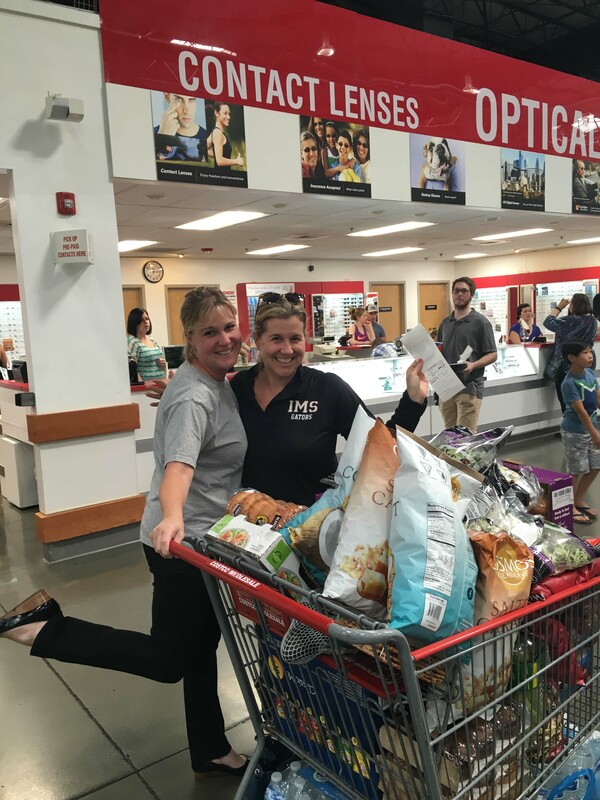 ), coordinate decorations and donations, plus roll up our sleeves to assist with making each lunch a special event for our IMS staff. Melanie and I chaired the first event in August so we could learn the ins and outs of putting one on since we were new at our roles. It was so fun! 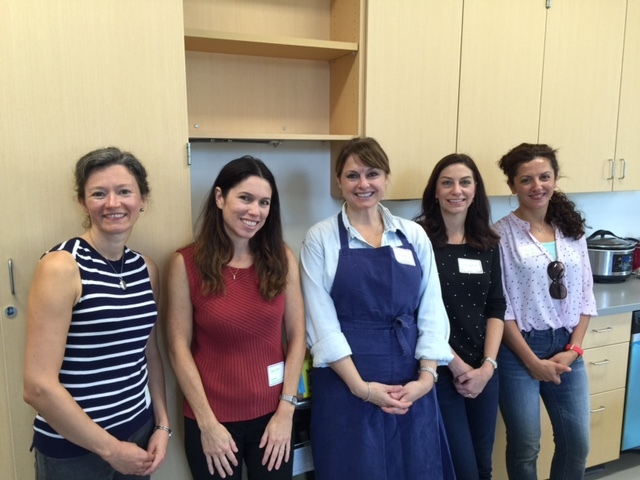 We hosted breakfast, lunch and secured a mobile espresso cart (donated by four families) for a mid-afternoon treat for the Teacher training/prep day. The community support was overwhelming….families baked yummy treats, our favorite Southend Starbucks donated to the cause, and our local Homegrown contributed to make our IMS faculty and staff feel appreciated. 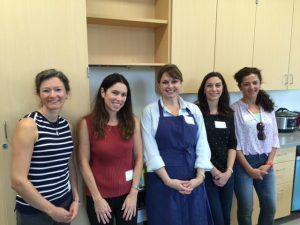 Angela Brown and Janet Smith co-chaired the September luncheon and did a phenomenal job coordinating and serving lunch in the brand new teachers lounge. 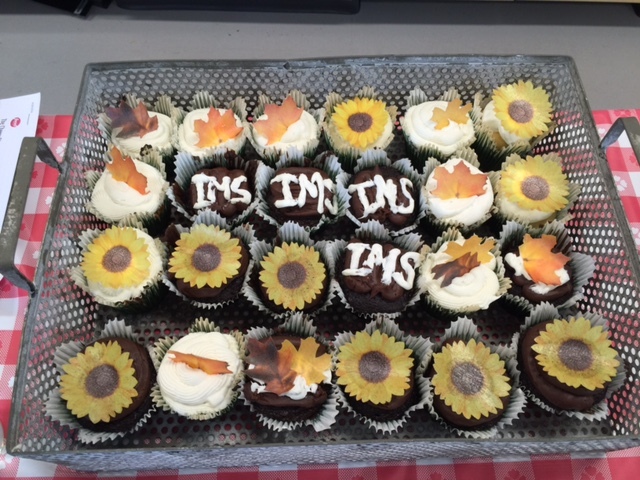 Again, the support we received from the IMS parent community was huge. When Angela and Janet sent out the sign-up it was filled within 24 hours with four different kinds of chili, all of the fixings, delicious salads, and homemade baked treats. The teachers and staff were so appreciative! If you are an IMS parent, and would like to chair/co-chair, help, or donate at future staff appreciation luncheons, below is the calendar of upcoming dates. Please contact me at (206) 225-1500, or email me at at Julie.Wilson@windermere.com to let me know which luncheon you would like to volunteer at, and in what capacity. We need to provide food about 50 people at both Lunch A (11:20-11:50) and Lunch B (12:20-12:50). We also need volunteers to set up, serve during lunch periods, and clean up. Thank you so much! !